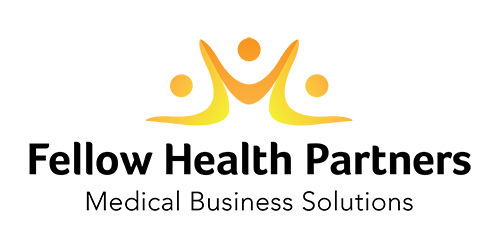 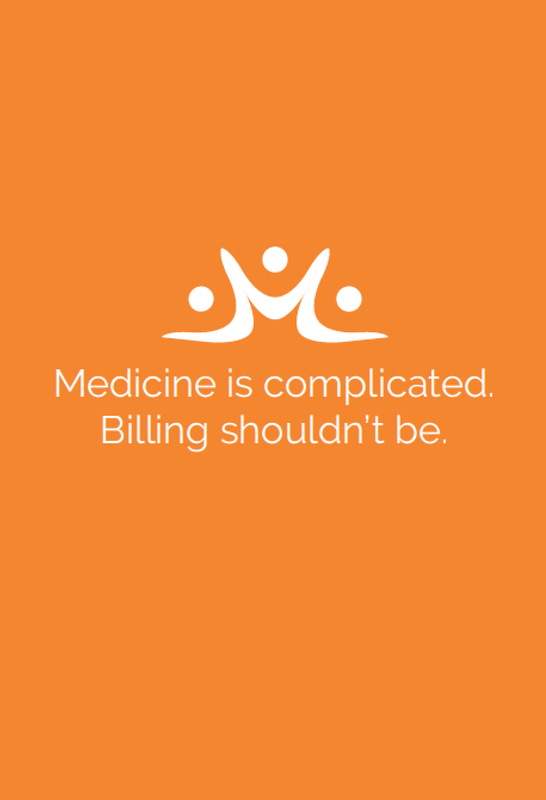 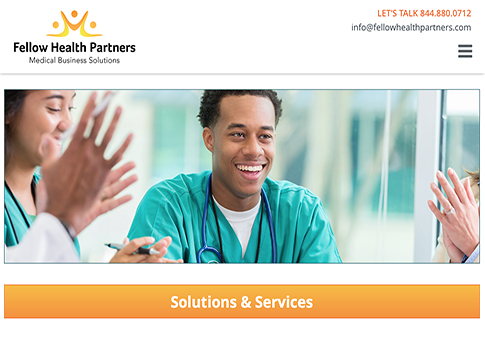 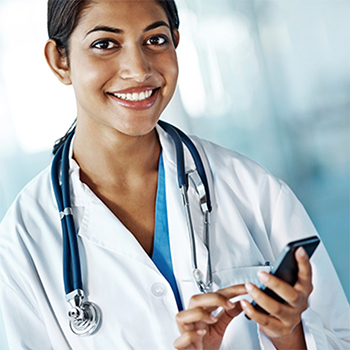 Fellow Health Partners Inc. is a leading-edge medical business solutions company that helps healthcare professionals and institutions to improve their bottom line by applying innovative methods of streamlining the medical billing process. 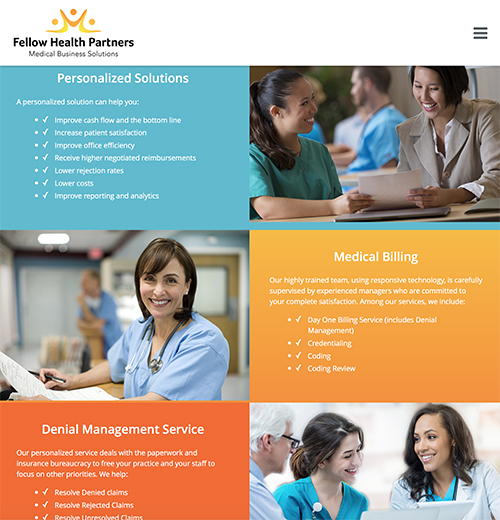 Fellow Health Partners acts as an extension to any medical practice or facility by providing billing expertise, office and workflow solutions, customer service assistance, and administrative support. 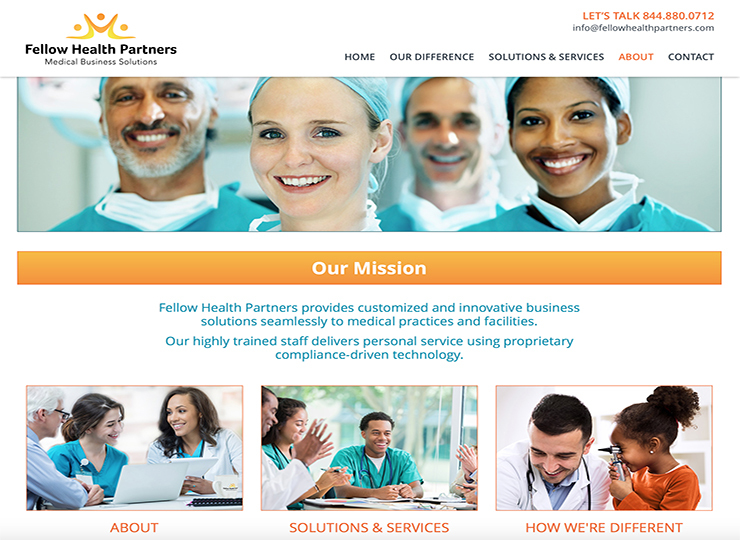 We work as an extension of this start up company, and are responsible for the company’s overall marketing and branding initiatives in all media spaces—ensuring their message is distributed across channels and to targeted audiences in order to meet sales objectives. 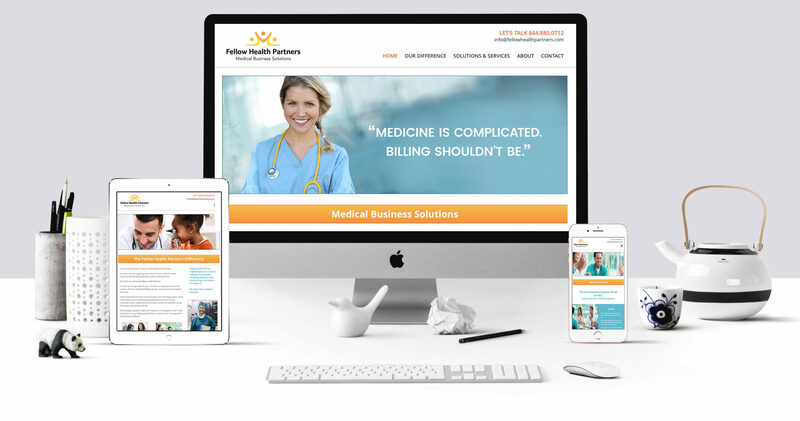 We keep an eye out for maintaining brand consistency across marketing vehicles to reach the target audience and drive maximum results. 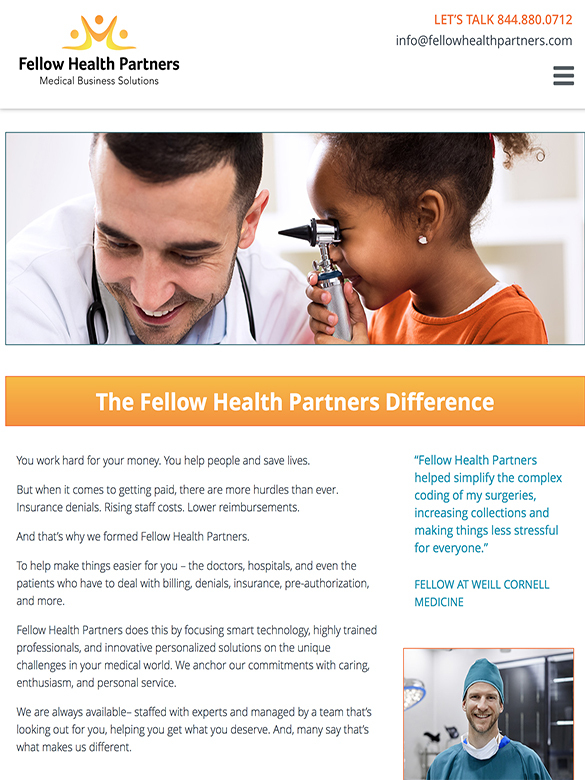 Fellow Health Partners focuses on personalization, customer service, and rigorous training for staff and management with the goal of making things easier and less stressful for the customers. 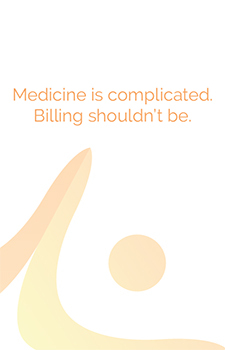 We built a visual brand around this company’s response to the movement away from patient-centered care and inaccurate reimbursements across the healthcare industry. 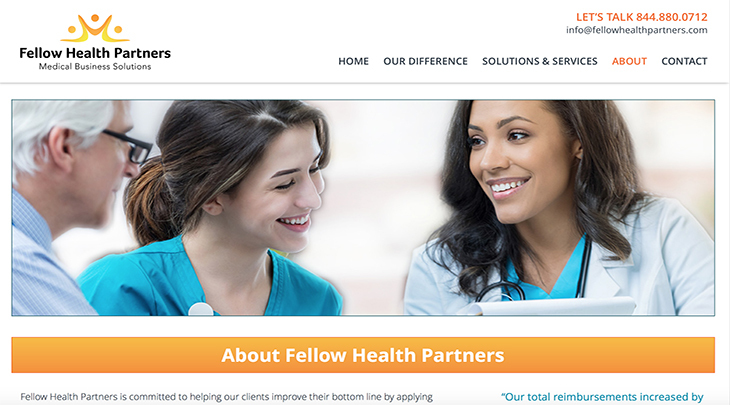 Our approach to the end-to-end branding revealed meaningful insights to create strategies that engage the customer, building long-standing relationships.